NOTES: this CD includes the original album tracks plus alternate takes, alternate versions and more. 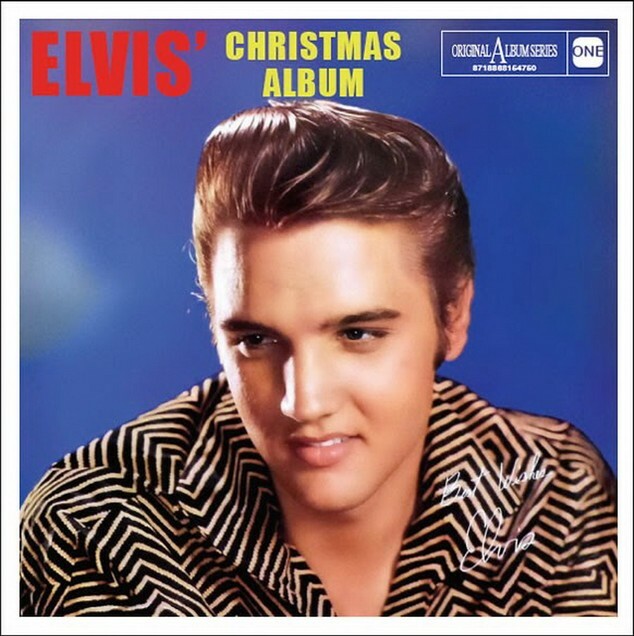 And as an extra bonus, a second disc with the Special Elvis' Christmas Program (For radio stations only) from December 3, 1967. And a 12 page booklet with photos & recording information. The Special Christmas program isn't complete on CD 2. 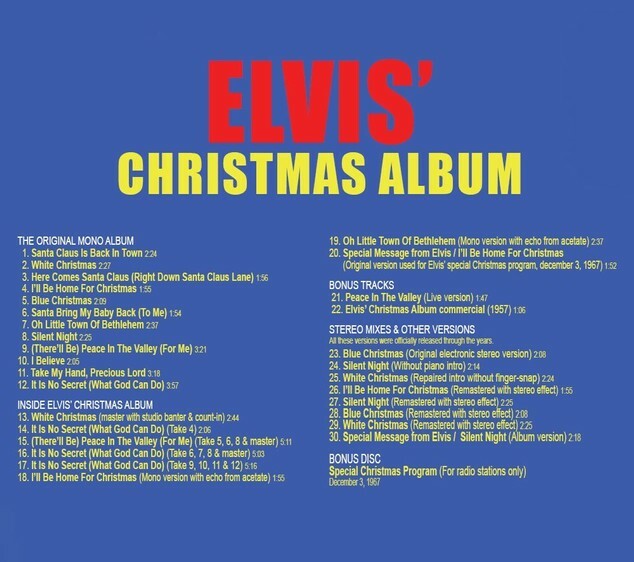 The complete program was released before on the bootleg CDs "A Pair Of Boots" & "Season’s Greetings From Elvis". All these versions were released on official CD/Vinyl releases through the years.